Scott Lee of SB architects, and Rich Centollello of EDSA joined forces to present concept design for a resort in the Carribbean. 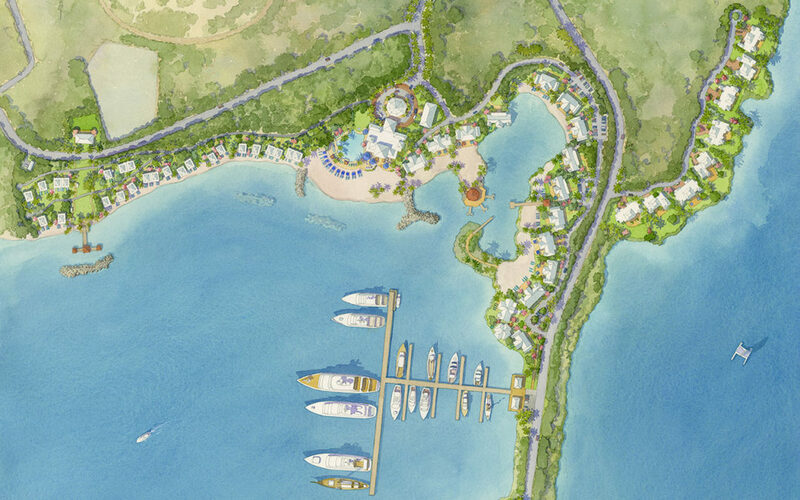 They called me because they needed a beautiful rendering of their site plan which included a hotel, villas, permanent residences, and a marina for world class yachts. There was a crashing deadline and both teams were working hard on design for the plan and buildings. I was able to synthesize their various sketches, drawings, and reference photos into this formal watercolor painting. 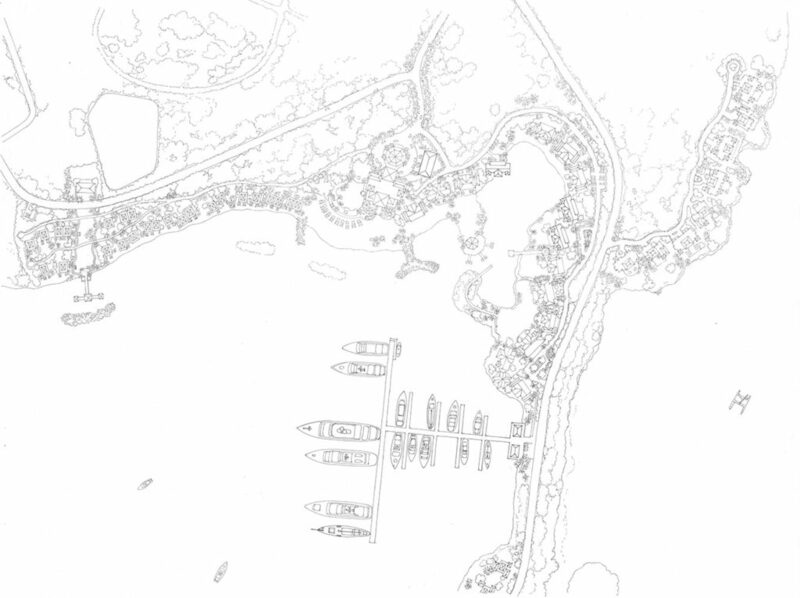 My process for rendering site plans is to do a single sheet line drawing in pencil. This unifies the line quality and has a weight and feel perfectly fitting the watercolor painting that will follow. I have the client approve the drawing first, then transfer it to my watercolor painting and have at it. I show progress scans at appropriate intervals, and deliver a hi res digital file upon completion.